An award-winning collection of plants is set in 25 acres of peaceful, winding wooded paths, wide open spaces and gently running streams. Here spring comes early, with towering magnolias often blooming in February alongside snowdrops and camellias. 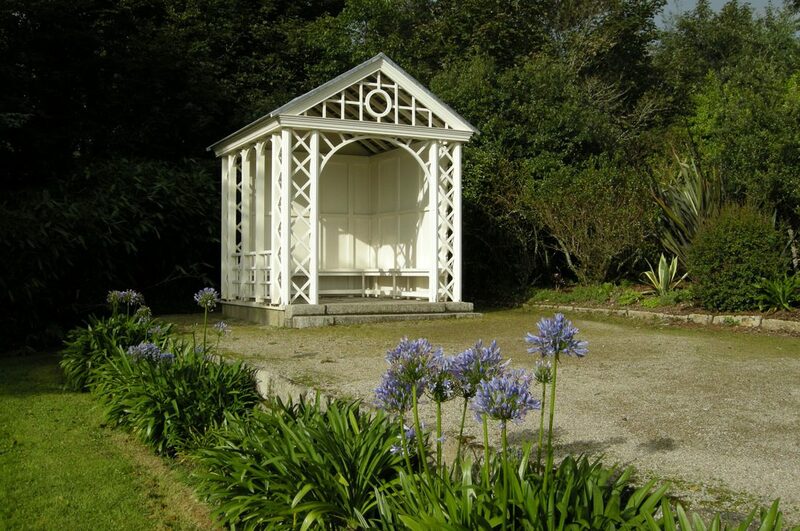 April and May bring a dazzling display of rhododendrons while in the summer months it’s the turn of the colourful stream border and the sun-soaked terrace which, with its sea views. invites you to linger a while. Wander the five sections of walled gardens and you’ll see a renowned collection of tender exotic species from around the globe. The kitchen garden is reputed to have been built to the dimensions of Noah’s Ark. In the mellow autumn months you can enjoy the colours of the native beech trees turning golden yellow and the rich, fiery shades of acers. While in the kitchen garden you’ll find a quirky display of pumpkins. At the lower end of the garden is a secluded spot rarely found by most visitors. 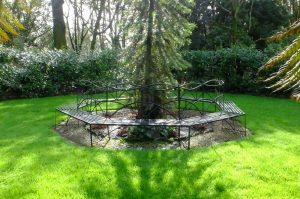 Nestled between two of the more popular paths is the Laurel Circle – a cool green oasis that invites quiet contemplation. 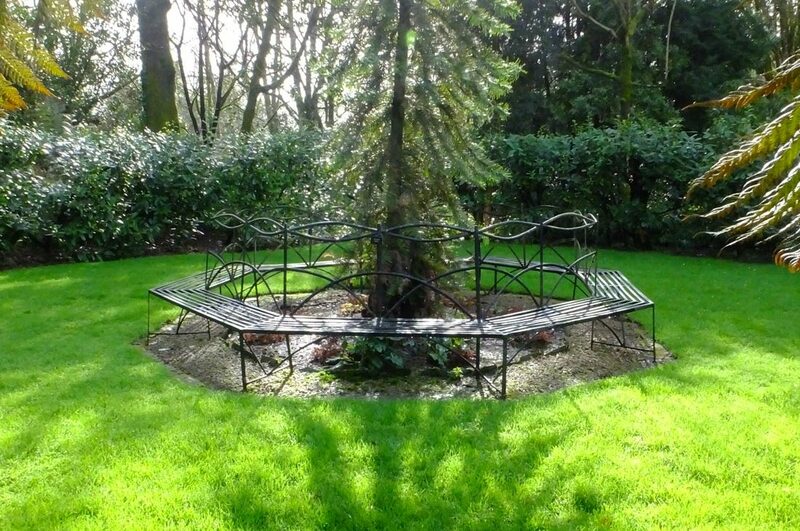 At its centre is a circular wrought iron bench that encloses a wolemi pine. Sitting beneath one of the world’s oldest species of plants is a great placed to slow down and take your time. A half-mile steady incline to the Terrace at the top of the garden is rewarded by sea views across the turquoise waters of Mount’s Bay. The summer house at the far end of the Terrace offers a sheltered spot to sit come rain or shine. On a clear day you can gaze across fields and the bay to the Lizard peninsula beyond. For opening times please see the garden's website. In order to protect the integrity and simplicity of the project, Silent Space has been registered as a trademark.